Workers in Macau are demanding higher wages, which poses a threat to casino operators. Their power is getting stronger as casinos on the Chinese peninsula are struggling with a lack of skilled workers. Additionally, casino companies in Macau may face strikes as workers demand better working conditions. The two leading casino operators in Macau, Las Vegas Sands Corp and Wynn Resorts Ltd, were confronted with $50 million in additional work-related costs. Market watchers believe that other casino companies, including Melco Crown Entertainment, Galaxy Entertainment, MGM Resorts and SJM Holdings, face comparable costs. 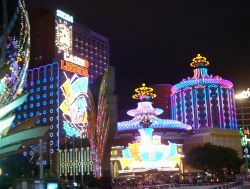 Gambling is illegal on China’s mainland, but it is overlooked in the administration of Macau. There are 35 gambling venues on the former Portuguese colony, and its revenues consist for 80% of gambling taxes. Only 1.7% of Macau’s labor force is unemployed. Gambling companies can only chose from Chinese workers as it’s not allowed to hire foreign employees. Recently, one of Macau’s labor groups stated that wages were a disgrace for some workers. Additionally, about 1,000 employees claim that their employer, the Venetian, fails to pay reasonable salaries. Sands China and Galaxy have already laid their cards on the table and promised to improve working conditions. The average pay for croupiers at Macau-based gambling parlors is $2.191 a month. That reveals a real sharp contrast to the average salary of a casino dealer in Las Vegas, which comes to $4,000. Gambling companies are offering financial incentives, including bonuses and shares, to attract skilled employees.